This charming ground floor cottage for 4 people where the living area features an original sandstone wall. 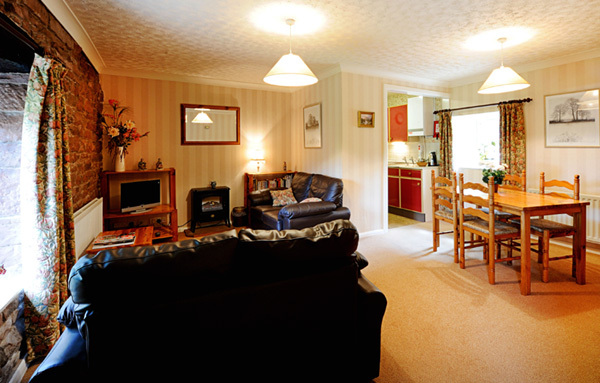 The comfortable living area with dining facilities for four, leads to a kitchenette. The two spacious bedrooms, one double with a king size bed and one twin are serviced by a bathroom with bath and separate shower. Its easy access and wide doorways make it particularly suitable for guests who are not too sprightly or reduced mobility. 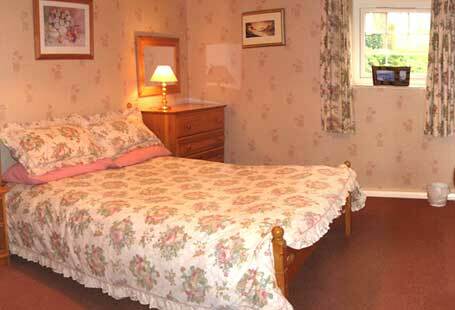 This cottage is a ground floor apartment with High Croft Cottage on the 1st floor and is often used in conjunction with this or by families requiring separate accommodation or couples requiring few steps or stairs. Newly fitted Kitchen with quality oak cabinets (Dec 2014), integrated appliances includes newly added dishwasher.